Digging through a new book by former Coca-Cola Company European marketing chief Javier Sanchez Lamelas turns up plenty of insights for aspiring brand leaders. Lamelas, who left the company in February after 20 years and subsequently set up a marketing consultancy, has written Martketing: The Heart and the Brain of Branding as "a manual to shorten your marketing learning curve". His understanding of how marketing and marketing departments work, or should work, also draws on eight years at P&G earlier in his career. Coca-Cola sales were declining – there was a faction that was convinced the product was stigmatized by consumers because of its sugar content. But that couldn’t have been the real reason … consumers tend to blame products when they’re not happy with brands. In fact, people forgive products when they love brands: Louboutin in spite of uncomfortable heels; Porsche in spite of their noise and inflexible suspensions; Rolex, even though they are heavy and inaccurate. I realized the brand in declining markets was simply getting old: it was aging with its user-base consumers … we weren’t renewing our user base at a sustainable pace. During the nineties we’d been focused on driving existing-drinker consumption: "Always Coca-Cola"; introduced larger sizes; ran promotions to increase frequency of consumption; we introduced multi-packs in stores and larger cups at McDonald’s. Unlike in previous years we devoted very little effort to making new generations fall in love with Coca-Cola. I have to confess that during my entire marketing life, I have not seen a single insight come out of a focus group … Consumers do not spell out insights. They do not know what is feasible and/or they provide unrealistic solutions. Or worse, they don’t know what they want. We were losing people as they aged [they weren’t switching to Diet Coke because it had a different taste to Coca-Cola]. We needed something low in calories, but with a taste that was closer to regular Coca-Cola. The R&D people came up with a product that had a 50% sugar reduction that tasted very close to Coca-Cola. We undertook a large battery of tests, both at the concept and product levels, to determine the potential of the idea. Test results indicated it was a good idea. That’s how Coca-Cola C2 was born. We launched it in the USA and Japan in June 2004. Pepsi simultaneously countered with a similar product, Pepsi Edge. After a few months in the market and more than $50 million invested in marketing, both companies had to discontinue … it was obvious the trade-off we offered consumers wasn’t enough. People tend to fall in love with the stories they create. In marketing, though, you might have ugly babies. And you have to be ready to accept it. I know it’s hard, but that’s also why you get paid: to keep objectivity and your critical judgement intact and unbiased. 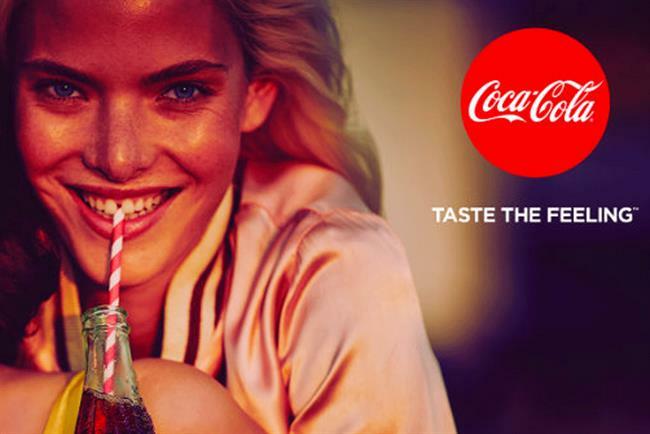 Coca-Cola was about "happiness", Coca-Cola Zero was about "possibilities" and Diet Coke was about "sexiness" … that was a confusing and very expensive model. I recommended moving to a masterbrand approach … the idea of embedding "choice" within Coca-Cola was spot on. It was a smart way to answer our detractors when they claimed that Coca-Cola had too much sugar. Our answer was: "Which Coca-Cola? We also have Coca-Cola – the real one – with zero calories. Research is not a substitute for decisions. It just helps the decision-making process. And more importantly, research cannot "create" marketing. The equivalent to [showing someone an ad and asking if they would buy this product more than competitors’ products] would be to give a bunch of flowers to somebody you just met and then immediately ask: "Would you be more inclined to marry me and have three kids with me than with another guy?" The obvious answer would be a big no. About 80% of the population chooses its favourite soft drink brand before they reach the age of 18 – and this tendency isn't unusual in other categories either. Of this 80%, only 20% switch their favourite brands later in life ... Any dollar spent on generating brand love that targets people older than 18 is at least five times less effective than the marketing investment aimed below this age. Most companies fail to deliver great marketing not because of the individuals involved, but because of processes – or lack of processes – that prevent them from working together. Many marketing departments are organised like a tailor shop. The tailor – usually called the marketing manager – has end-to-end responsibility for projects moving through the department. [It is] able to produce high-quality marketing, but only if … the tailor is a good professional with deep knowledge; the rest of the team respects and follows the tailor’s leadership; and the entire organisation has worked together long enough to understand how the tailor shop works. That said, the tailor shop suffers from several important drawbacks. First, when the above conditions aren’t met, the quality of the subsequent marketing is usually very poor, or at best inconsistent. Second, the amount of work this kind of organisation can handle is limited. Eventually, the only way to boost the output is by increasing the number of tailors. Third, when the tailor leaves, the department needs to be rebuilt all over again. Fourth, high levels of team frustrationg are generated simply because the "boss didn’t like it". Only a small percentage of people have the ability to cut through and understand the power of a great design at first glance. The key is to leave your design in experts’ hands; your responsibility is choosing the right experts. Trying to modify an expert’s assessment using public opinion is a bad recipe. And don’t worry if not everybody likes the design at first. If the design is really good, they will like it sooner or later. New Coke [launched in 1985 in reaction to the Pepsi Challenge campaign] was one of the most consumer-researched launches in history. What went wrong with all that research? Actually nothing; the research was clear and consistent: New Coke was significantly preferred over Coca-Cola in sip and extended usage tests. Also in blind and identified tests. What went dramatically wrong was the interpretation of the results. Having – let’s say – 60/40 significant difference in overall preference does not mean that product A is better liked than B by everybody. It just means that 60% of people prefer product A and 40% prefer B. Remove product B from the market and you will get 40% of angry consumers, especially if the brand has a high emotional attachment. A terrible mistake in interpreting data led to a dramatic business decision. Successful brands do not talk to people. They lead conversations with their potential consumers, and not their current consumers. The essence of any good conversation is first to listen and then to respond. The really dangerous group [is] people with a low ability to solve problems correctly but with a high level of initiative. These people are the real value destroyers in the organisation. They do it naturally. And to make things worse, they also consume a huge amount of resources in the form of other people kept busy fixing their mistakes. Your job as a manager is to identify them and make sure they are out of your organisation.